Earn $2.62 in Rewards credit (262 points) What's This? All quiet on the 11-speed front. 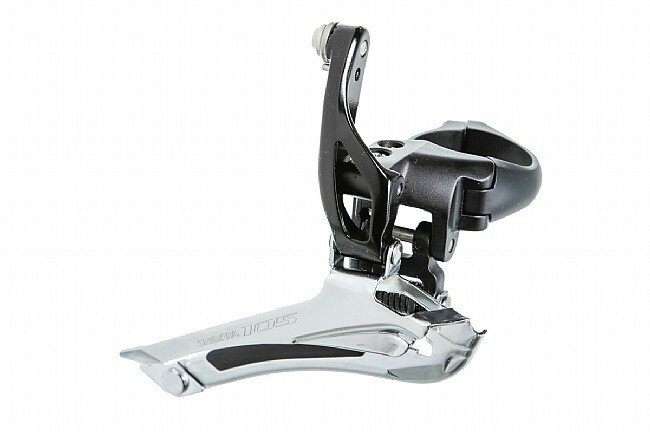 Shimano had their work cut out for them when they set out to create the best 105 front derailleur to date. 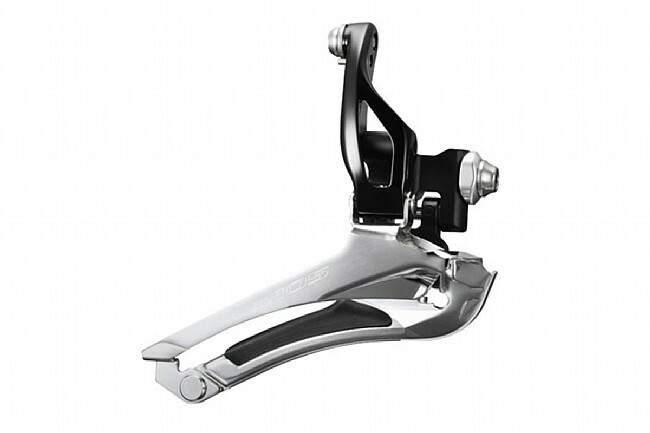 Now with a longer pull arm and an improved spring mechanism, your front shifts won’t miss a beat even under load. Trim shift functionality has also been improved to prevent you from dropping your chain when you start cross-chaining. Don’t worry, we won’t tell anyone that you cross-chained. Available in Black or Silver. 11-speed compatible. Exactly as described fits matches and works perfectly. Shipping was fast and prompt as usual. Great product! Very easy to install and adjust! Had no issues with install or adjustment, minimum time getting it tuned in! !